OXON HILL, Md. 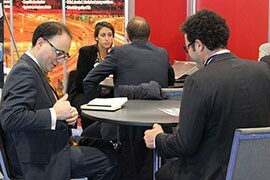 – Foreign businesses looking to invest in the United States have heard the success stories from California and New York. They need no convincing of the perks of settling in the Big Apple or Silicon Valley. But other places in the United States – like Arizona – need to work harder to prove their worth to investors. “Most of the people that we talked to honestly did not have an idea that Arizona was even a player in international business,” said Stephane Frijia, director of international business development for the Greater Phoenix Economic Council. Frijia and other economic development officials from across Arizona descended upon National Harbor this week for the SelectUSA Investment Summit, hoping to build a brand for the state and convince foreign investors of Arizona’s pro-business climate. The two-day SelectUSA Investment Summit – the second of its kind – brought together 1,300 companies from 70 countries and more than 500 economic development officials from across the United States. The Department of Commerce program, established by President Barack Obama in 2011, promotes business investment in the United States. “We’ve got a good story to tell, but we want to make sure all of you had a chance to hear it,” Obama said. 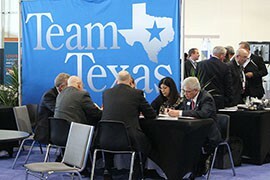 Inside a large exhibit hall at the Gaylord National Resort and Convention Center, representatives from 45 states and two territories spent the better part of two-days trying to do just that – pitching their state’s story to investors from all over the world. 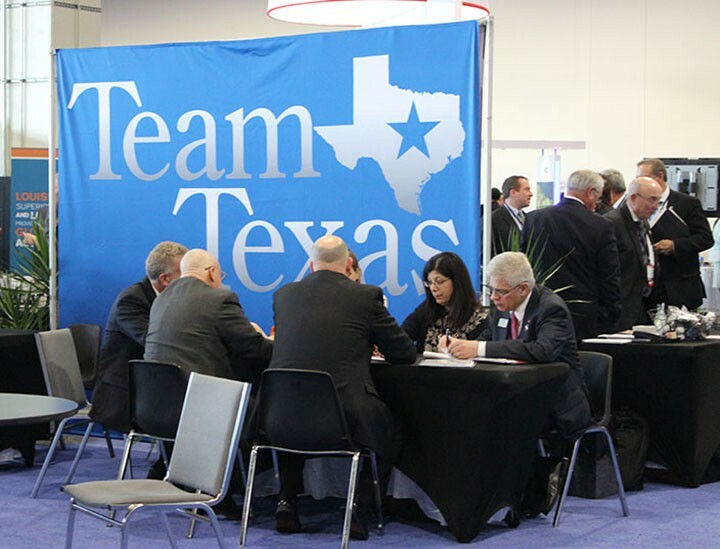 Some pitches were flashier than others, with some state meeting under giant displays reading “Team Texas” and “Indiana – A State That Works,” while others settled for a small table and some pamphlets. The Arizona team included representatives from the Arizona Commerce Authority, Greater Phoenix Economic Council and several cities throughout the state. Their messaging appeared to be working, with 30 back-to-back meetings scheduled between the two days, and dozens of passers-by stopping to pick up brochures about Arizona cities. Frijia said the Greater Phoenix Economic Council and Arizona Commerce Authority also arranged a dinner reception Sunday night before the summit where they met with 50 people from nine countries. Valentin Hernandez, vice president of business attraction for the Arizona Commerce Authority, said the amount of traffic at the Arizona booth shows that more people are beginning to see what Arizona can offer. “The U.S. is open for business and so is Arizona, and I think it’s showing through the appointments that we’ve got and the interest we’re getting here in the exhibit hall as well,” Hernandez said. 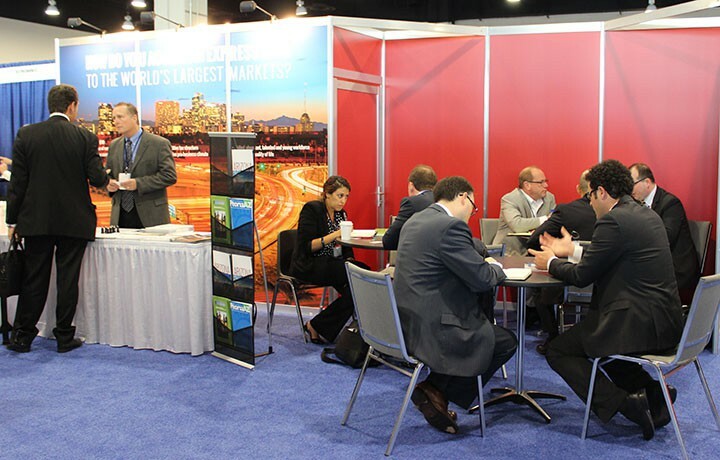 Representatives of Arizona business and economic development groups met with foreign investors from Turkey, China, Canada and beyond at the two-day investment summit in National Harbor. 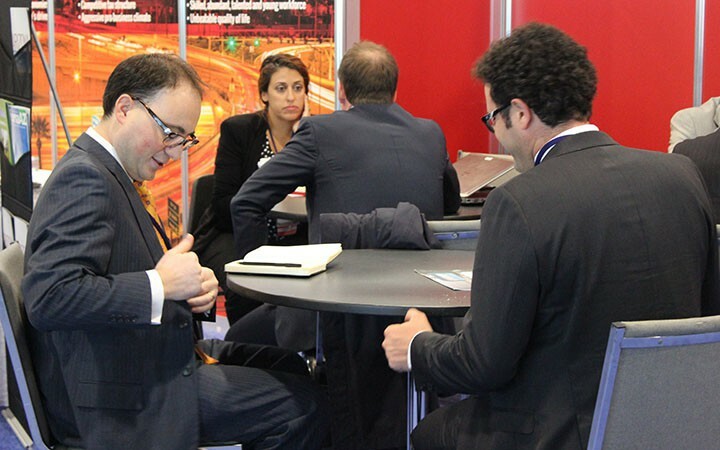 Stephane Frijia, director of international business development with the Greater Phoenix Economic Council, meets with potential investors. 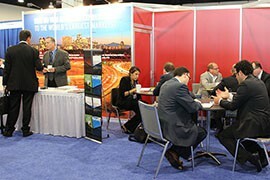 Economic development officials from 45 states and two territories were represented at the SelectUSA Investment Summit.